On 19 March, a training session for police officers on how to deal with violations of electoral law took place in Odesa. This was the second to last in a set of ten trainings in the Odesa region, facilitated by the EU Advisory Mission Ukraine (EUAM) in partnership with the NGO ‘OPORA’ and run by the Odesa Regional Organisation ‘Committee of Voters of Ukraine’. Over 250 police officers from across the Odesa region have received this training. “The facilitation of this work on behalf of EUAM contributes not only to raising awareness among police officers about the legislation governing elections, but also to ensuring that the democratic rights of Ukrainian citizens are protected and the election is policed properly,” said EUAM’s Head of Operations Udo Moeller while congratulating graduates of the training. 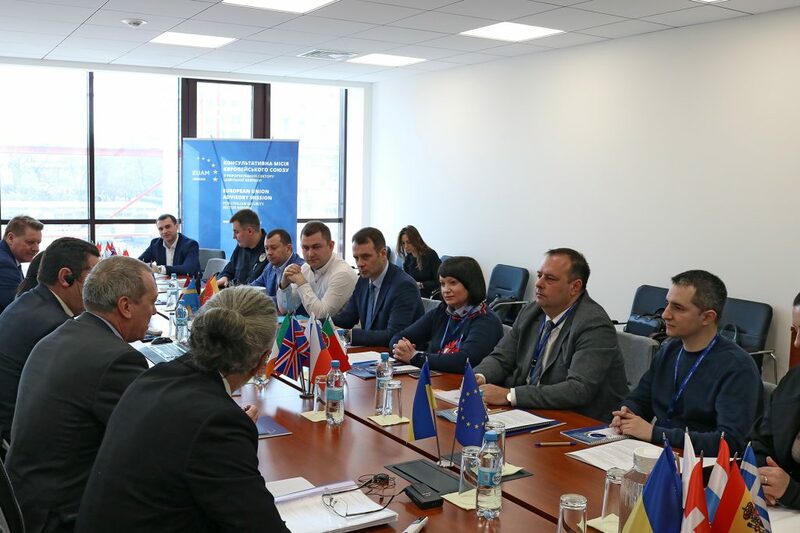 Mr Moeller also took part in the Regional Safety Strategy Management Board roundtable, which was held at the offices of the EUAM Regional Presence in Odesa on 20 March. 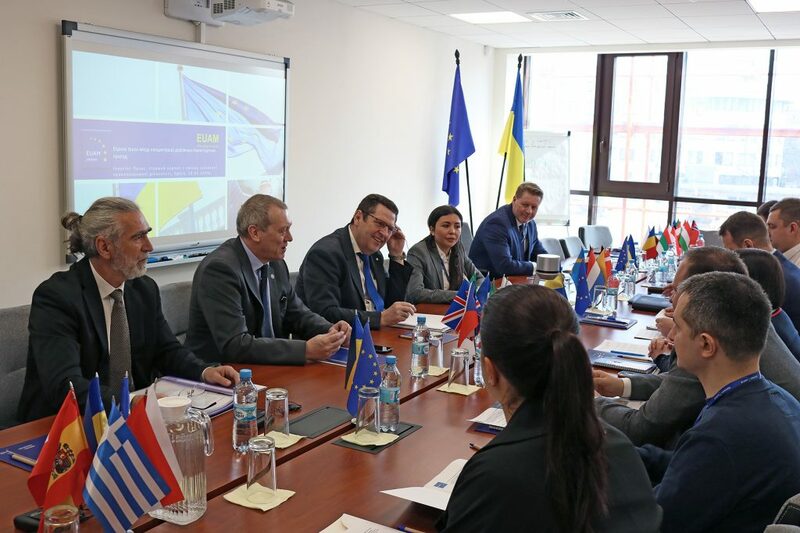 This initiative, launched in October 2018, aims to proactively address the problems and emerging security challenges in the region by bringing together high-ranking officials from the National Police (NPU), Patrol Police (PPU), Public Prosecution Office (PPO) and Security Service of Ukraine (SSU) in Odesa region, as well as the leadership of the Odesa Regional State Administration (ORSA). Opening the roundtable along with Svitlana Shatalova, Deputy Head of ORSA, EUAM’s Head of Operations thanked everybody involved in the development of the Safety Strategy for their proactivity and engagement and welcomed the establishment of thematic working groups as part of the strategy, namely on road safety and response time. To support the modernisation of the police in the Odesa region and the introduction of EU best practices, EUAM donated EUR 21,500 worth of equipment to the Podilsk police station, including tablet PCs, breathalysers and portable thermal printers. 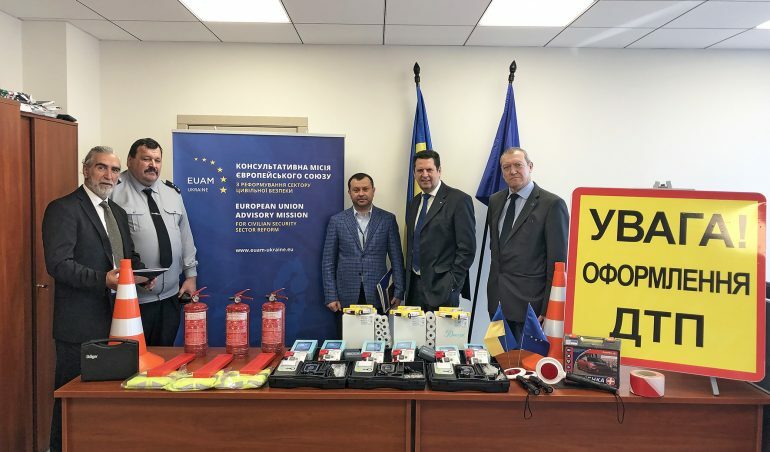 By the end of May 2019, EUAM Regional Presence in Odesa plans two more donations for the police: items related to the Safe Schools project of the Patrol Police, and mobile thermal printers for the NPU Rapid Response Teams.